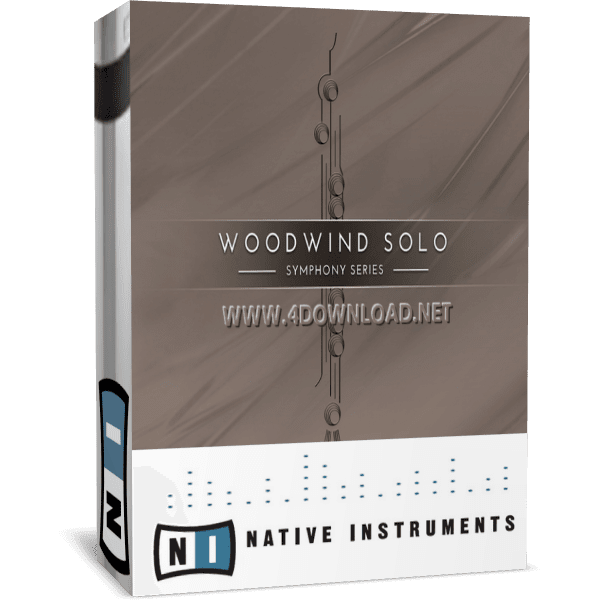 Expert soloists play concert flute, oboe, Bb clarinet, bassoon, tenor saxophone, and contrabassoon, each provided as its own KONTAKT instrument. 148 articulations (42 in ESSENTIALS) – including special effects - and true and emulated legato allow expressive and natural-sounding play, while up to eight round robins, multiple dynamic layers, and four discrete microphone mixes give complete control of the mix character and unique recording space. The signature SYMPHONY SERIES interface provides immediate control of 148 articulations, including special effects, flourishes, and ultra-realistic true legato. 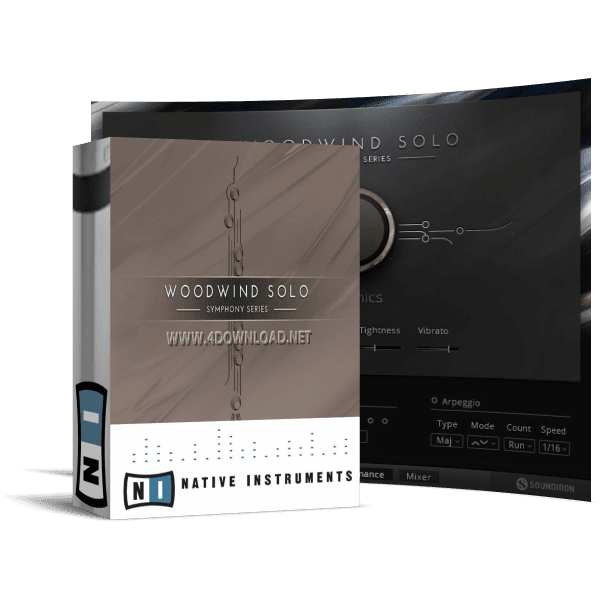 It also lets you seamlessly blend dynamic layers to achieve the natural expressiveness of solo woodwind performances. 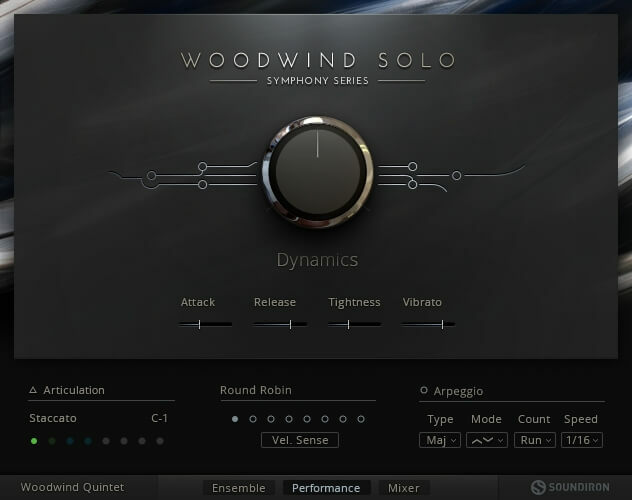 SYMPHONY SERIES - WOODWIND also delivers powerful features exclusive to the WOODWIND family of scoring tools. In addition to the recorded arpeggios, the Arpeggio Module allows you to instantly generate cycling arpeggiated phrases and sustained note runs, trills, and chord evolutions. It's all playable in real time, and you can restrict arpeggios to scales and patterns. Whenever you release a key, the Expression Release system creates a natural sounding note decay. This works even if the played articulation features recorded dynamic changes as found in crescendo or swells.